RootsTech registration opens tomorrow, on 20 September 2018, and a tentative schedule has just gone up. It’s subject to change but take a look and see the incredible variety of classes that will be offered! 2019 will be my 5th year attending RootsTech and my first year as a RootsTech Ambassador. I’m excited to see what’s in store. A few weeks ago, RootsTech announced that they would be expanding to London in 2019! What an incredible opportunity for those who live in the UK and Europe to experience RootsTech for themselves. You can find more information here. 1. Making connections. RootsTech 2019’s theme is “Connect. Belong.” There is nothing more exhilarating than being in a place with thousands of other people who share your passion for genealogy, and feeling like you are where you belong. But even more than that, RootsTech brings together family and friends…those you know, and those you discover. For the last three years, RootsTech has been the meeting place for myself and my good friend, Kandace. We met about 18 years ago in Colorado as new moms with baby boys. Our families grew and we moved to different states but stayed in touch. In 2016, I invited Kandace to attend RootsTech with me and a tradition was born. Every year since we have met in Salt Lake City to attend RootsTech together. Connecting is what RootsTech does so well. 2. With over 300 classes to pick from, you will find one that suits you perfectly. From beginners to those who are advanced researchers, RootsTech offers a great variety of classes. Challenge yourself to learn something new. 3. The Expo Hall. 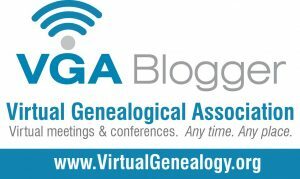 Hundreds of vendors, offering just about everything you can think of to do with genealogy. Be sure to allow yourself a good chunk of time to visit the Expo Hall. There is so much to see, so many vendors to talk to, presentations to attend and swag to collect. It’s one of my favorite things about RootsTech! 4. Keynote Speakers. Be inspired by interesting and engaging keynote speakers. Two of my favorite speakers from 2018 were Scott Hamilton and Dr. Henry Louis Gates Jr. I look forward to hearing who the speakers will be for 2019! 5. Proximity to the Family History Library. RootsTech takes place at the Salt Palace Convention Center, only a block from the Family History Library. Spend some quality research time here among the thousands of records and books. Each year I fly into Salt Lake City a day or two before RootsTech starts so that I can work in the Library. I hope you’ll join me at RootsTech 2019! Registration for RootsTech 2019 opens tomorrow, 20 September 2018. Register early to take advantage of early bird pricing! Look out for the free RootsTech pass I’ll be giving away on my blog. And for more information on everything RootsTech, check out the Road to RootsTech 2019 here.